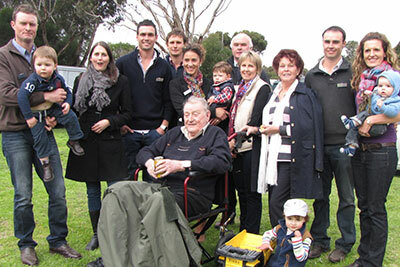 Established in 1925, Rices Creek is owned and managed by the Vandeleur family from properties at Saddleworth in the mid north, and Tintinara in the upper south east of SA. The stud aims to consistently breed big, early maturing plain bodied sheep with productive skins and white wools. Rams are sought from all merino breeding areas, from semi-arid pastoral to high rainfall intensive grazing country. Their well-nourished wools help handle any climatic extremes. The stud’s annual artificial insemination program uses top Rices Creek rams, and the best available outside genetics to fine-tune its breeding program.